As of now, the Bitcoin protocol has no feature to relate a public wallet to a personal or legal entity. One aspect to discuss further is how to include such information in the blockchain. Down the road, a standard programming language is set to emerge. Special commands for specific triggers should be available in the future, and tools like taint analysis and transaction chain analysis already allow users to write custom code to insert additional information (e.g., AML details). As technology advances, digital identities will likely be linked and included in the blockchain. Moving forward specialized compliance services could query the decentralized database for risk-management items, and provide visualization layers via API (Application Programming Interface) to make critical data viewable to authorized users, including regulators. Multinational e-commerce companies have been successfully using device-based fraud prevention systems to fight cyber criminals for many years. Such intelligence is used to recognize computers and phones. It automatically flags transactions from TOR, geo-location and IP address mismatches, time zone mismatches, high-risk locations, proxy use, etc. This concept can be utilized by financial intermediaries to analyze transaction anomalies and identify profiles of licit Bitcoin users. Big data analysis systems would be costly to begin with, but they would add another important layer of legal compliance. Another viable path to solving the AML issue for crypto currency is to use the protocol itself. Potentially, the blockchain is the secure digital identity host accessible across the globe. Off-chain services providing AML/KYC-procedures can utilize smart contracts for storing notarized identities online. This method could become a new universal standard allowing anyone to have a digital signature that is safe and low-cost. Banks could turn their burden of compliance into profit centers by offering verification services – say, charging 0.005 XBT (approx. $1.5) per execution for validating, or even better, authenticating data sets. In this case, pricing would be a great many times lower than the current rates for compliance tools like electronic signatures. 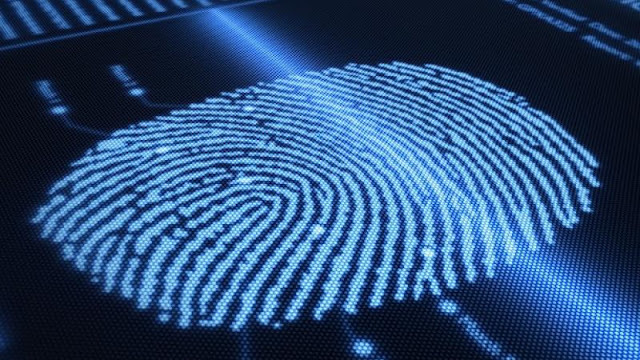 Best of all, charges in Bitcoin could run alongside the individual's digital identity. No need for a costly monthly subscription when your bank debits your Bitcoin wallet on the spot automatically. With a little bit of creative thinking, banks can be converted into data companies in this way. The digital identity running on the blockchain is the data the bank could manage on behalf of their customers. Banks may be able to generate an extra income stream just by publishing data they have available now. As a feed provider, they can use smart contracts to become a kind of oracle, and broadcast information over the Bitcoin blockchain. Such a technology-driven approach could be the lawful centerpiece to dark web protocols like TOR (The Onion Router, anonymity network using encrypted layers of a communication). Rather than condemning anonymous digital identities, the financial industry could make a virtue out of necessity by offering a viable alternative that brings enhanced privacy to customers. Q. C. Shentu and J. P. Yu. “Research on Anonymization and De-Anonymization in the Bitcoin System.” http://arxiv.org/ftp/arxiv/papers/1510/1510.07782.pdf, 2015. E. J. Imwinkelried and J. Luu. “The Challenge of Bitcoin Pseudoanonymity to Computer Forensics.” UC Davis Legal Research Studies Paper, no. 462, 2015. A. Back. “Hashcash - a denial of service counter-measure.” http://www.hashcash.org/papers/hashcash.pdf, 2002. R.C. Merkle. “Protocols for public key cryptosystems.” In Proceedings of the 1980 Symposium on Security and Privacy, IEEE Computer Society, pages 122-133, April 1980. D. Naylor et al. “Balancing Accountability and Privacy in the Network.” ACM SIGCOMM Computer Communication Review. SIGCOMM 2014. Vol 44, Issue 4, October 2014. P 75-86.